Being born and brought up on a council estate on the outskirts of Lincoln is perhaps one of the least conventional routes into a career in agriculture. 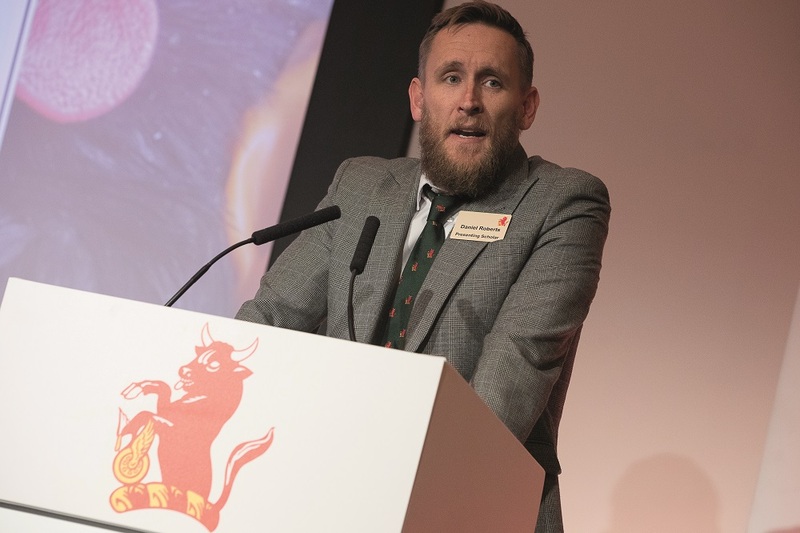 But that is the path Daniel Roberts took before specialising in poultry and embarking on a career with Faccenda Foods in 2001, which then led him to Wootton Organic in 2006 and back to Faccenda overseeing a number of broiler farms in 2012. In 2017, Roberts’ unconventional path also led him to apply for a Nuffield Farming Scholarship. His report on avian influenza (AI) across the globe has just been published, looking at how the UK should make itself better prepared. In the report Roberts notes how AI has wreaked havoc across the globe in the past two decades and the virus has developed the ability to mutate at an alarming rate, spreading from wild migratory birds to commercial poultry and, more alarmingly, to humans. The global cost of dealing with AI outbreaks has run into the billions, with a huge loss of trade. His report warns that while to date the UK has swiftly isolated and stamped out the small number of outbreaks, “it is not a case of if but when ‘the big one’ arrives on our shores”. Roberts travelled to the Netherlands, USA, Hong Kong, New Zealand, China, Canada, Holland and France focussing on countries that have experienced AI in different forms. Roberts concludes the UK’s rapidly expanding poultry industry is “increasing the risk of a substantial AI outbreak that we are under-prepared for”. The role intensification of poultry systems plays in creating and spreading outbreaks cannot be ignored, Roberts argues. The UK needs to consider some difficult questions around how much further the industry intensifies versus the risk of a catastrophic outbreak. It’s been over 20 years since the first human death from AI when a three-year-old boy named Lam from Hong Kong made global headlines and led to Governments and people around the world swept up on a wave of panic. AI is now endemic in poultry in countries including Egypt and Indonesia whilst other countries such as the UK and USA have experienced sporadic outbreaks in recent years. In 2015 the USA lost around 50 million chickens and turkeys in their worst AI outbreak in living history. The total economic losses were estimated at over $3 billion US due to the clean-up operation, lost trade and inflation of egg prices. Bio-security is the most widely recognised primary control measure available to mitigate the risk of an AI outbreak. The good news is that, today, new poultry houses and farms are being built with higher standards of biosecurity than ever before, writes Roberts. The modern-day conventional broiler farm has purpose-built facilities to ensure strict biosecurity measures are adhered to. However, despite the increase in new builds the average age of a broiler house in the UK is around 30 years old and subsequent retro-fitting of improved bio-security systems has proved problematic with compromises having to be made. “All too often a lack of space leads to less than stringent standards on these operations and it could be argued that some do not pose any significant barrier to AI,” he writes. The poultry industry in the US state of Georgia provides an example of how improved biosecurity successfully stopped the spread of the virus from other States. Roberts reports that following the AI 2015 outbreak, the Georgia Poultry Federation developed a campaign entitled ‘ALL IN or ALL GONE’. Poultry farmers received weekly emails and had access to valuable educational resources online, along with regular AI updates. During the 2016/17 UK outbreak six of the 13 cases were attributed to backyard flocks and valuable resources were taken up with APHA (Animal and Plant Health Agency) employees who were searching protection and surveillance zones for backyard flocks that could be infected. In New Zealand, Roberts discovered local authorities require dog owners to register every year and anyone without the registered tags on their dog is fined. A similar scheme should be introduced for backyard poultry keepers in the UK, he says, because the risk of AI is so big. Roberts also visited Hong Kong, one of the most densely populated regions on the planet. At its heart are live bird poultry markets that sell live or freshly slaughtered poultry – a cultural tradition that stretches back thousands of years. Since 1997 until today Hong Kong has culled over four million birds. There have been and continue to be further human infections of H5N1 and more recently H7N9. Most of these cases have originated in mainland China and have infected people visiting from Hong Kong. What is impressive is Hong Kong’s acknowledgement that human health is paramount when dealing with AI – a stance that needs to be replicated in the UK, says Roberts. Their ‘stamping out’ approach, although not accepted by everyone, reduces the risk of a lateral spread of AI from bird to bird and therefore mitigates the risk of humans coming into contact with infected poultry. The role of increasingly intensified global poultry systems in the spread of AI cannot be ignored, says Roberts, and will need to be addressed in any future strategic planning within the UK if we are to truly mitigate the risk of a catastrophic outbreak to industry and to British citizens. Roberts concludes the UK is not as prepared as it could be for an AI outbreak and lacks a co-ordinated long-term strategy that is pro-active and considers the poultry industry and the rights of citizens to be protected. More consideration should be given about where free-range properties are located, and if any more should be permitted, especially in wetland areas where wild birds are known to congregate. The UK must undertake active surveillance of wild birds to ensure the earliest detection of an outbreak. Backyard poultry owners pose a major risk. Because of this a solution must be found that enables all flocks to be identified – no matter how small. To encourage better bio-security practices in the UK poultry industry, a new digital platform that all producers can access with best practice and latest information should be considered. Three years ago, the USA learnt some harsh lessons when High Pathogenic AI (HPAI) H5N2 tore through the landscape. In the space of three months 42.1 million egg layers and 7.5 million turkeys succumbed to the virus or were destroyed because of their close proximity to infected farms. One factor than didn’t help the containment effort was the sheer size of some of the farms that needed to be depopulated. In Iowa, the largest egg producing state in the USA, there are multiple egg laying facilities that house millions of birds on individual sites in multi-tier poultry houses. The method used for culling infected birds was carbon dioxide gassing, as foam application proved ineffective in multi-tier systems. Once the dead birds had been removed they were ‘windrowed’ in a composting process that kills the virus. These windrowed compost structures stretched for miles across the affected States – a stark visual cue to the destruction of livelihoods and an industry. The Netherlands suffered a disastrous AI outbreak in 2003 that wiped out almost one third of its 100 million-strong national poultry flock. More alarming was the human cost of the outbreak with 453 of the 4500 people working on the outbreak suffering health complaints, 349 contracting conjunctivitis, 83 reporting an influenza-like illness with 3 of the 83 exhibiting clinical signs of the H7 virus that had initially infected poultry. Despite dealing with sporadic AI outbreaks over the last 15 years, the Dutch poultry industry still has the highest density of chickens per square kilometre of any other country on the planet, in part due to its export trade and size of the country. Annually, 6.5 billion of the 10 billion eggs produced are exported as well as 50% of meat and hatching eggs. Government policy consists of complete slaughter of all birds on infected premises. In addition no movement of avian stock in surrounding areas is permitted, neither can their product be sold. Suspicion of AI, whether in domestic or wild birds, is legally notifiable. Flocks of over 50 birds must, by law, be registered.